What a lovely trip to Amsterdam! Me and Olof started it with a couple of days just enjoying the city, a city that was showing its best with blue sky and sunshine. 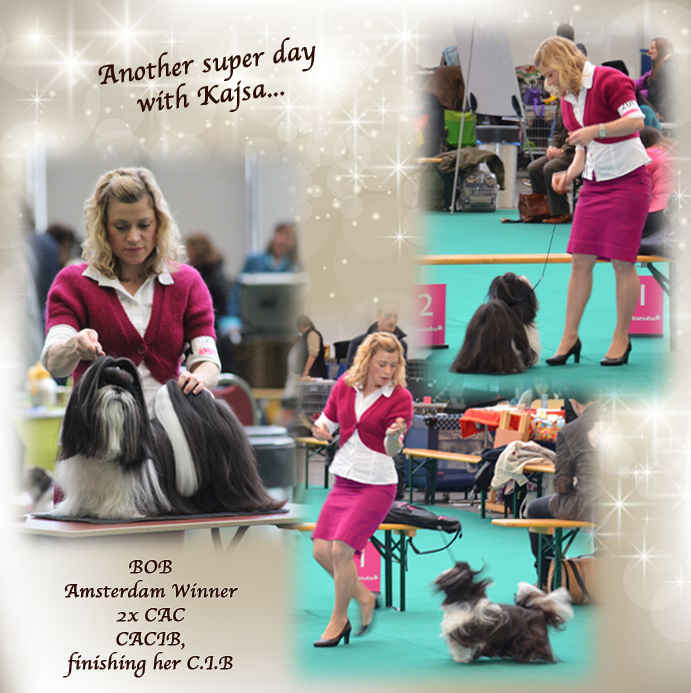 On saturday Kajsa was in her best at the INT KC Winner Show in Amsterdam winning Best Of Breed, Amsterdam Winner, 2x CAC and CACIB, and thereby finishing her C.I.B (first try out). Warmest thank you to judge Frode Jevne, NO.